New development starts with another prestigious client in Boston Lincolnshire. The works started in December and will see KDH committed to deliver another professional turnkey project in 2017. We are at the very first stages of the project. The turnkey solution is to consider the growing production space needs of the client whilst maintaining the sites daily operational capability. The building of a new packaging store will provide a release of the existing building footprint. To provide new packing facility in the building footprint it will provide the new high care production area needed. The development is to be complete with new cold storage, and high care production facility. New foodcrete flooring and fully integrated stainless steel EHEDG approved drainage for a class leading finish. New stainless steel kerbs will protect the new walls and remove the constant requirement for flooring and coving integrity works to minimise the operational on costs of the new areas. 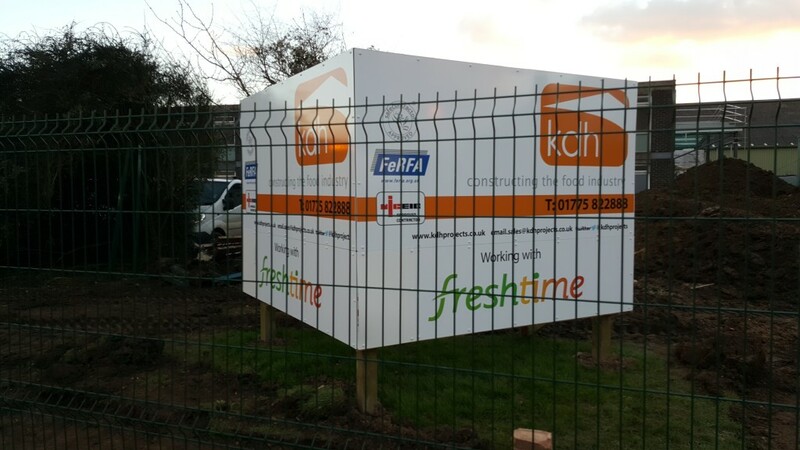 KDH are working with the client to minimise site disruption, the daily project management of the works and understanding of the food industry provided the best solution for the client. We are food people and we construct the food industry. Our large resource of KDH skilled full time employed staff across many specialist areas of Cold store construction, Resin flooring, Stainless steel fabrication, Electrical installation, Refrigeration solutions CDM management is why we believe we are unbeatable for quality, reliability and value.